I’m back in my groove, y’all! Hopefully I’ll be able to start cranking out reviews like I’ve been wanting to! 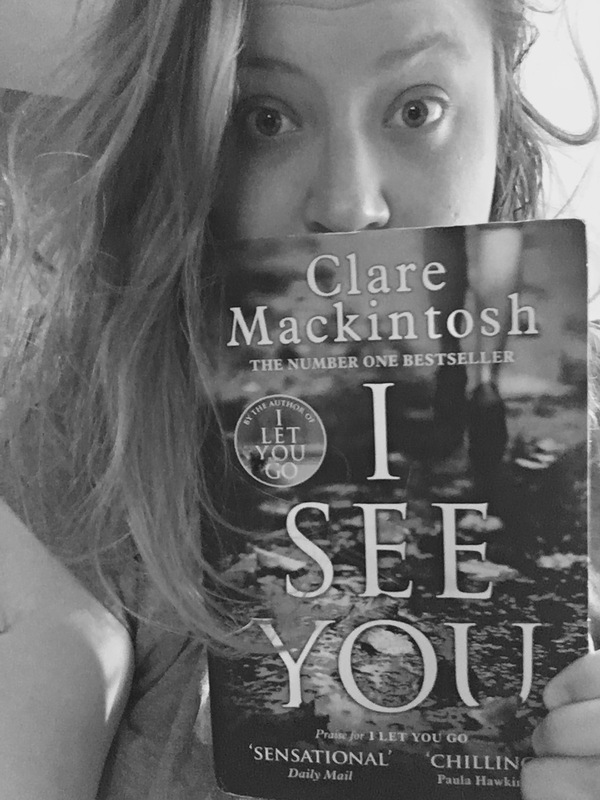 I’m very excited to share my thoughts on Clare Mackintosh’s “I See You” with you. Zoe Walker is just your average, everyday woman that travels to home and work by train. When she browses the newspaper on her way home she sees a familiar picture in the personals section with a phone number and a website “findtheone.com”. After looking closer she realizes that the picture is of herself. She is, naturally, freaked out about her picture being used in the paper without her consent. When Zoe recognizes another picture in the personals section dated a a few days before her own she tries to recall how she knows her. When she realizes that she knows this woman from an article about her keys being stolen on the train while she slept, Zoe calls the police. Zoe becomes increasingly concerned that there is a connection of crime to the personals advertisement. Is she next in line to get robbed or hurt? I See You is 372 pages long and took me four days to read. I give this novel a four out of five because it kept me completely on the hook! The excitement of this novel literally doesn’t stop until the last page. I highly recommend this book!! Please comment with your thoughts after you’ve read!